On Wednesday 2nd May, we departed from the SLS Las Vegas to head for Brand USA’s MegaFam Finale in Nashville! 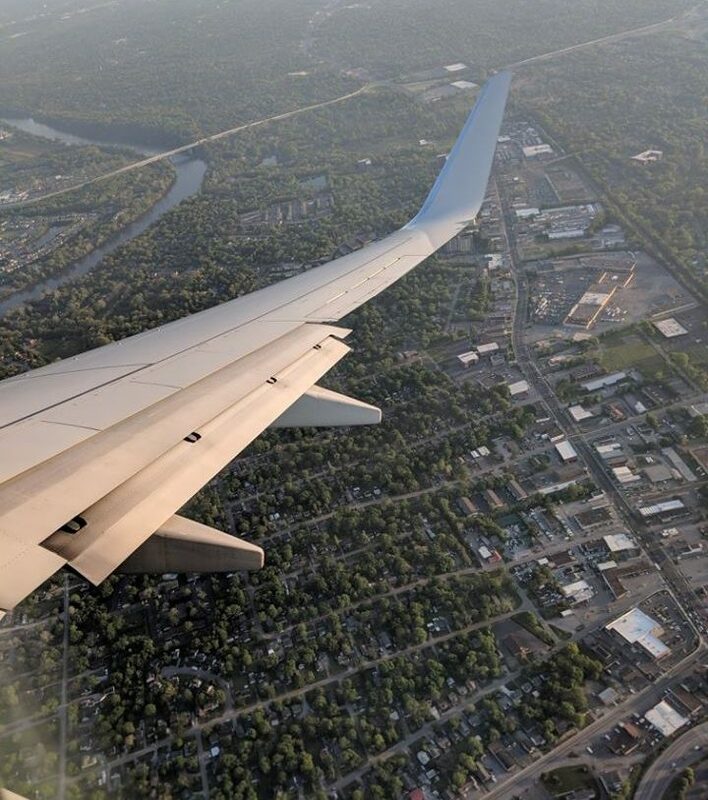 We flew from Las Vegas McCarran International to Dallas Fort Worth, then from here onto Nashville International. With country musicians dotted around the airport, there was no denying we had arrived in Nashville! One thing I’ve definitely improved on because of this trip is my ability to get ready FAST! We had less than 10 minutes to get ready at the brand new Cambria Hotel in Nashville before we were off out again! On Wednesday evening we attended a three-course meal at the Musicians Hall of Fame and Museum with all 100 MegaFam competition winners. This gave us the chance to meet those who had done “Midwest and Motown”, “Floridian Flavours” and many other exciting itineraries! The food was great! Then, all 100 of us were “unleashed” onto Nashville’s popular nightlife destination, Broadway! It was so much fun; we spent some of the night in a piano bar, and then went to lively, popular Honky Tonk Central Bar. The next day was filled with visiting several museums across Nashville! 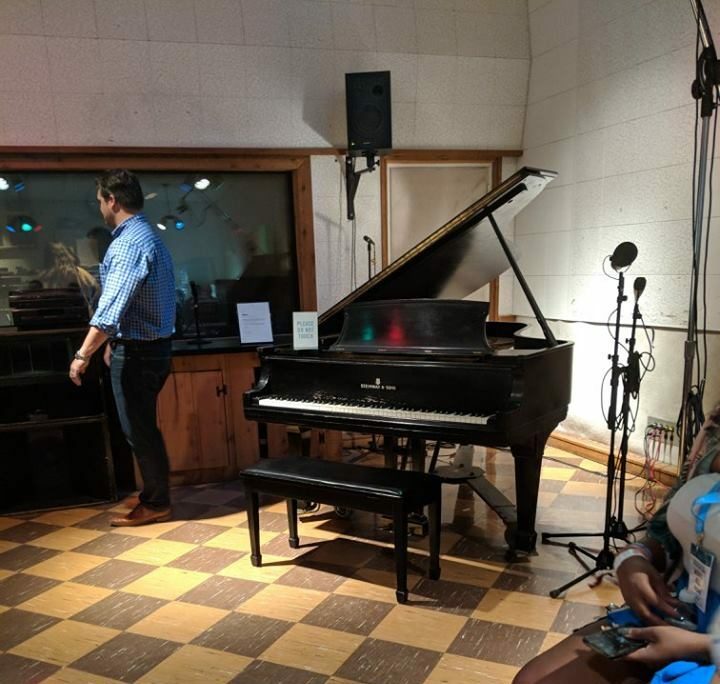 The first stop was Historic RCA Studio B. I felt fortunate to be able to visit the studio where Dolly Parton recorded “Jolene”, and Elvis Presley recorded over 200 songs such as “Are You Lonesome Tonight?” After learning more about the history of the studio, we did a group recording of Elvis Presley’s “Can’t Help Falling In Love” – it might not have been as in tune as Elvis’ version, but to be able to record in Studio B and take the CD home of our recording was pretty amazing! Following our visit to Historic RCA Studio B, we travelled to other popular country music landmarks and museums in Nashville! 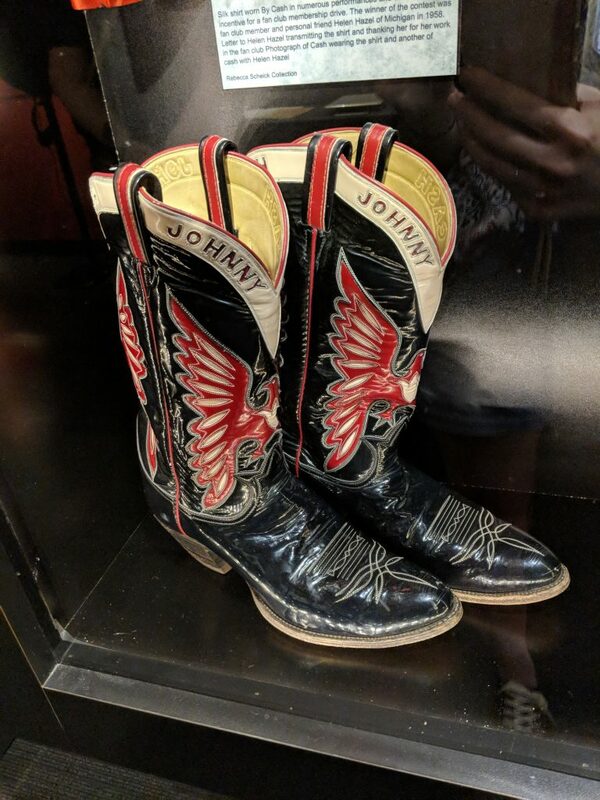 We travelled to the Country Music Hall of Fame and Museum which featured many iconic costumes, such as those worn by Shania Twain in “Man! I Feel Like A Woman”. There was something here for everyone – I did a little “Which Job Role Would You Have in the Music Industry” interactive quiz and it turns out I should be a singer (not sure about that!). We also visited the Ryman Auditorium – one of the most famous concert halls in the history of country music, before making our final museum stop at the Johnny Cash Museum! So, after all our super busy itineraries, it was time for the Brand USA MegaFam Finale! This year, it was hosted at the brand new bar, restaurant and live music venue, the Ole Red in Nashville! We were welcomed with canapés, drinks, and country musicians and songwriters! Then, we all went up together to the rooftop bar for a drink. 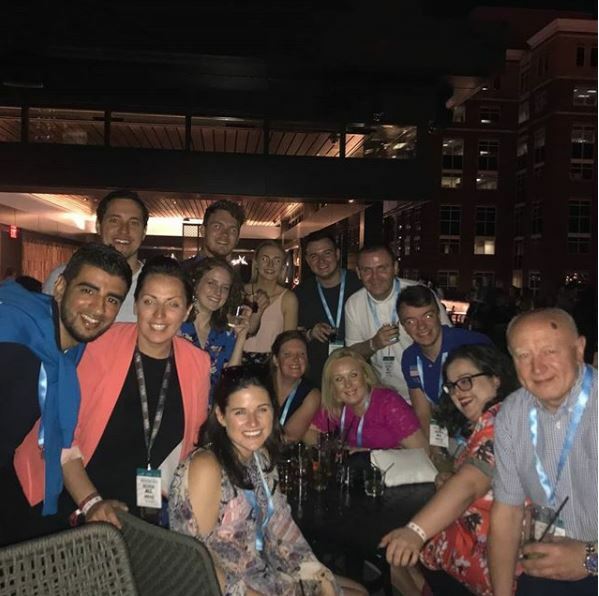 The rooftop provided amazing views of Broadway – and as we’d had a sunny day in Nashville, the temperature was still perfect! Our Western Treasures group ended the night together by “singing” along (tone deaf) to 500 Miles by The Proclaimers in a Karaoke Bar. Good fun! 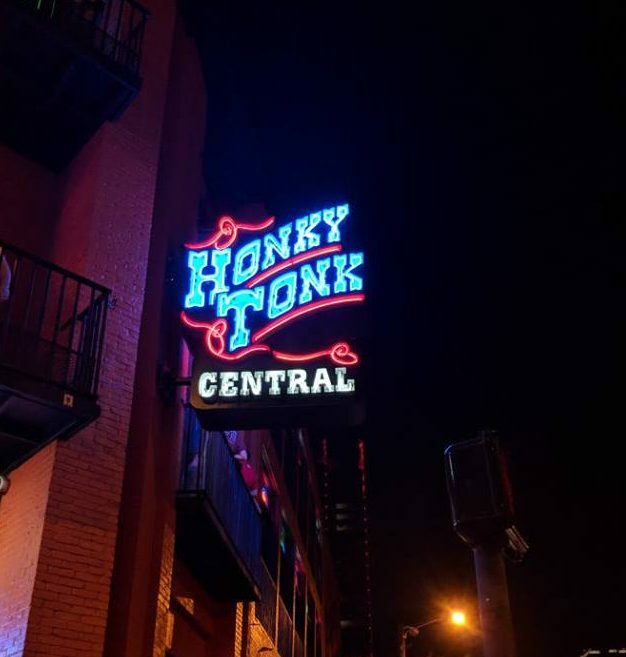 If you would like history and culture in the day, mixed with a super fun nightlife, then I would absolutely recommend making your way to Nashville! We’ve now reached the end of our trip! 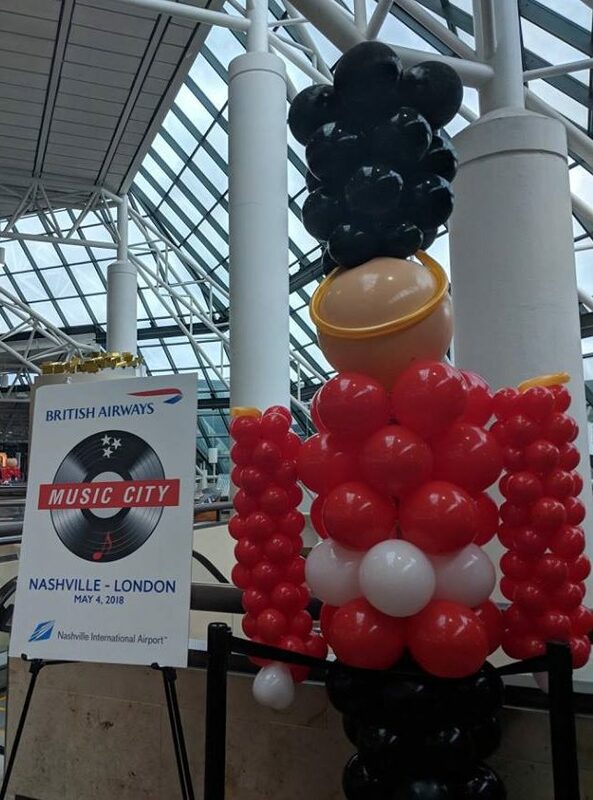 It was exciting to the very end as it concluded with the inaugural direct flight route from Nashville to London Heathrow launched by British Airways 4th May 2018! With cake, balloons, and country musicians at the gate, we were given a great “goodbye” for our journey back home!